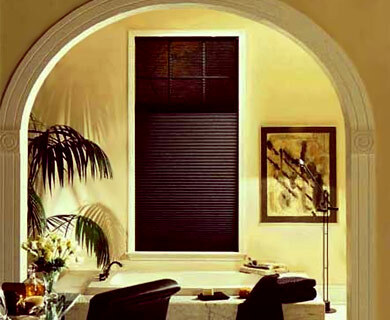 More than a decade ago, Hunter Douglas created a marvelous new window covering called Duette® honeycomb shades. There are hundreds of beautiful color choices in a variety of pleat sizes to complement any decor. Fabrics that offer distinct degrees of privacy and light shading, from sheer for a room filled with light, to opaque for complete light control and privacy.